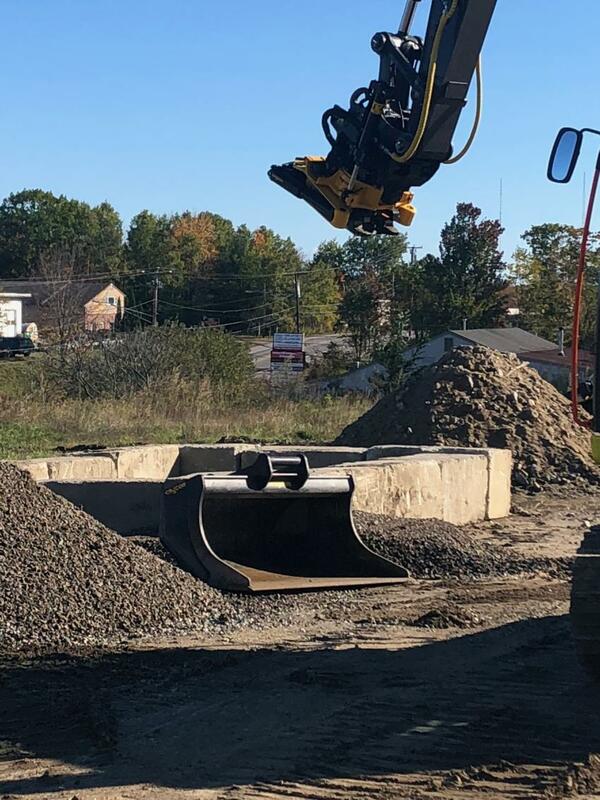 Chadwick-BaRoss hosted an Engcon tiltrotator demo event Oct. 16, 2018, at its Westbrook, Maine, facility. A wide variety of attachments can be swapped out in seconds. Tiltrotators have become the norm in Europe and the concept is now quickly gaining momentum in the United States. 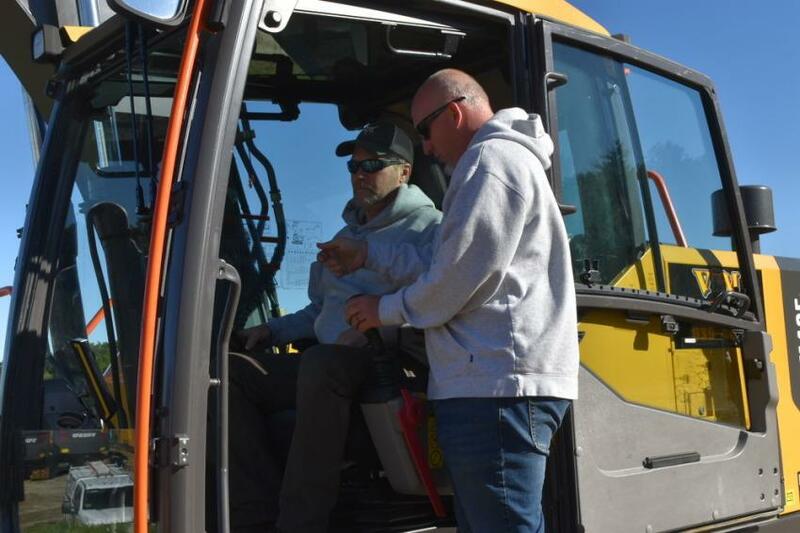 The event gave Chadwick-BaRoss' customers an opportunity to see the product up close, get hands-on experience, and have their questions answered by Engcon's experts. 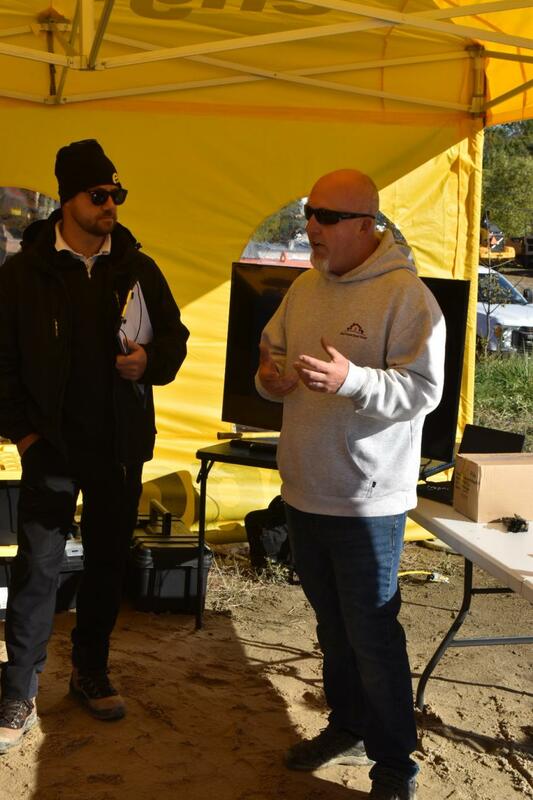 Each attendee of the demo event was provided a few tips before being turned loose to demo the equipment. The GRD detachable grabber creates the ability to manipulate items like this post in ways never before possible. 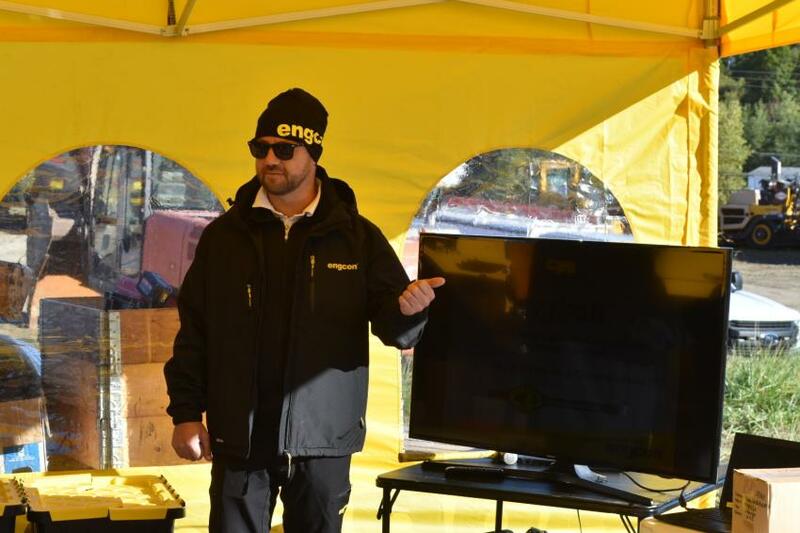 Engcon factory representatives explained the features and benefits of the tiltrotator before giving attendees the opportunity to try it for themselves. 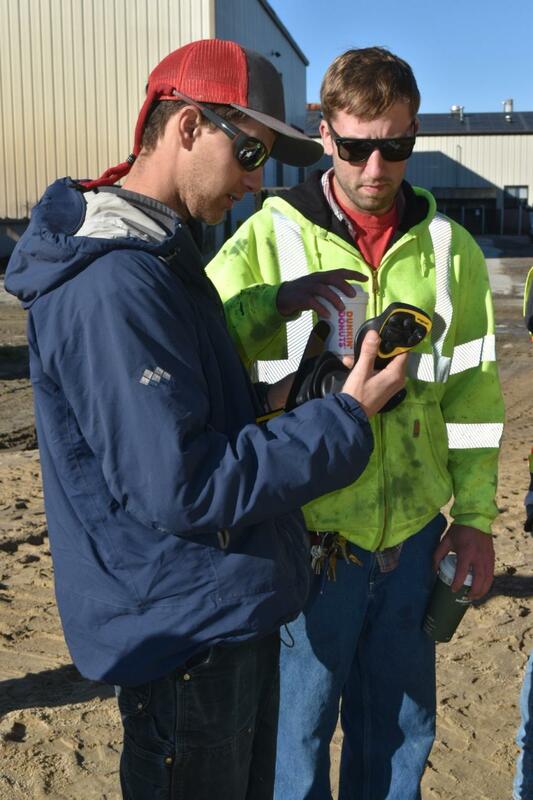 Attendees investigate Engcon’s MIG2 joystick, which combines maximum ergonomics with functionality. 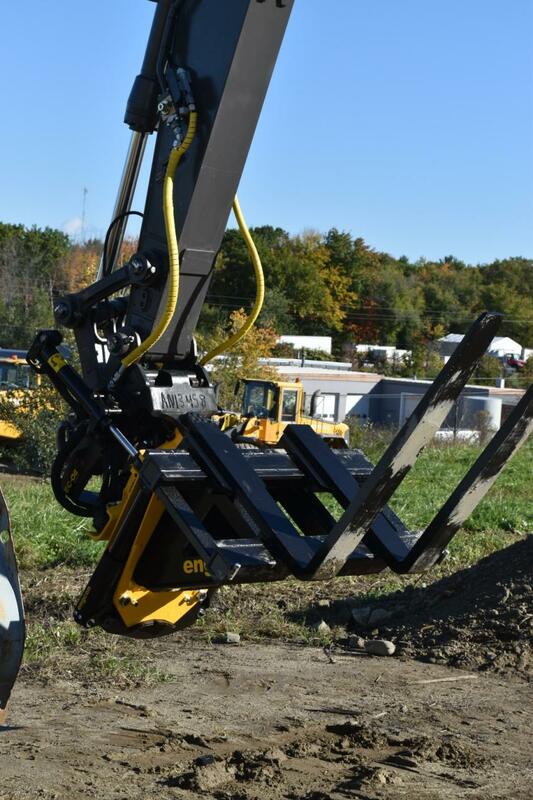 In seconds operators can change out from a digging bucket to a set of forks. 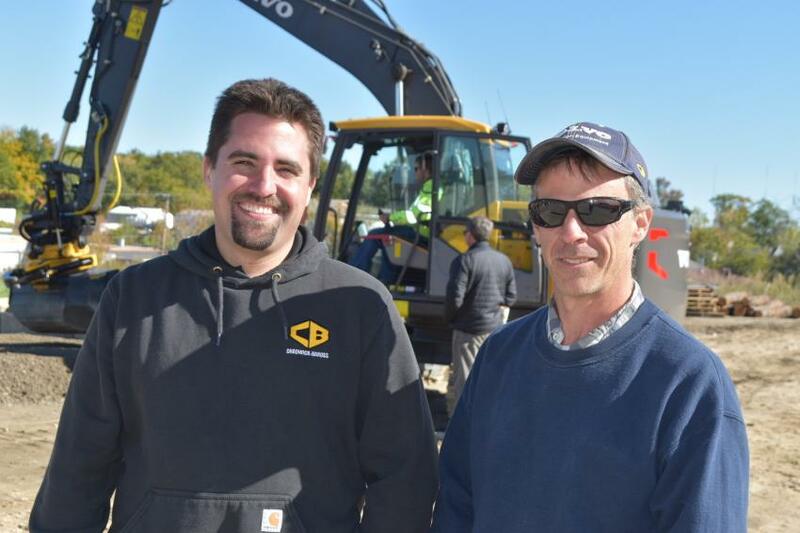 Justin Verrill of V & M Construction in Gorham, Maine, recently purchased an Engcon tiltrotator from Chadwick-BaRoss. During the event, he assisted with the demonstration and shares his own experience with the product. 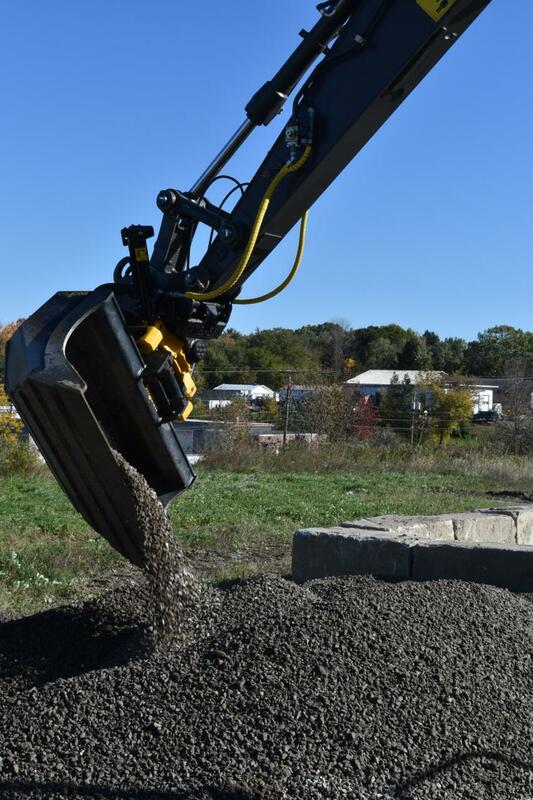 With Engcon, attachments are connected and released in seconds. 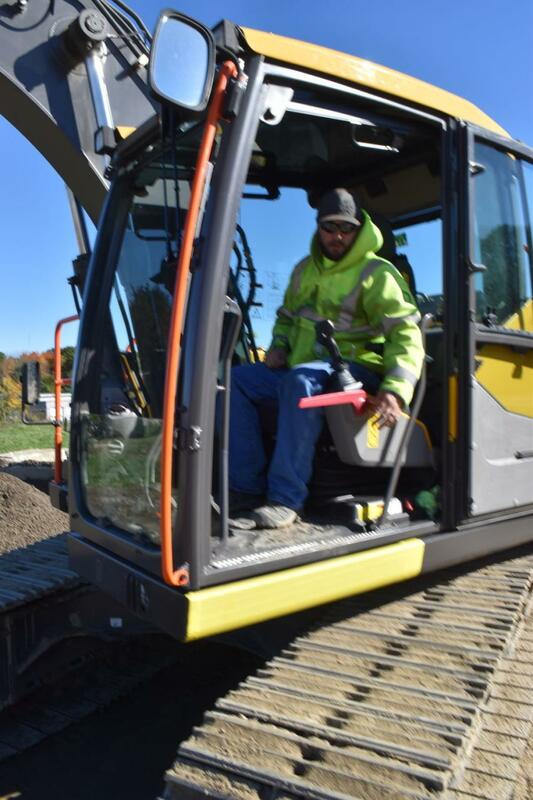 After demonstrating the Engcon system, Arthur Fedas of A & A & Sons Excavation said his company performs general site work, utilities and septic. “We are a small company and it only makes sense technology-wise to use one of these machines,” he said. “It speeds up backfills, grading … you name it. 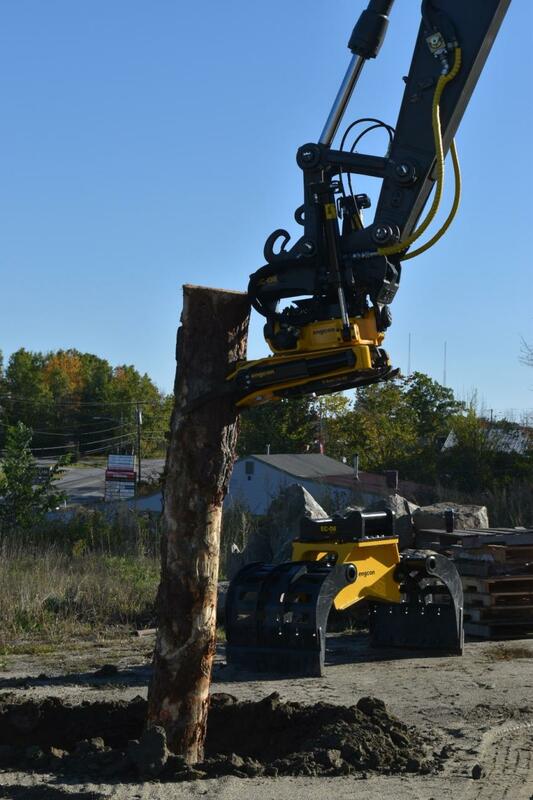 The grapples are amazing for landclearing and anything like that. Cory Spaulding works for the city of Portland. “The machine is very versatile,” he said. 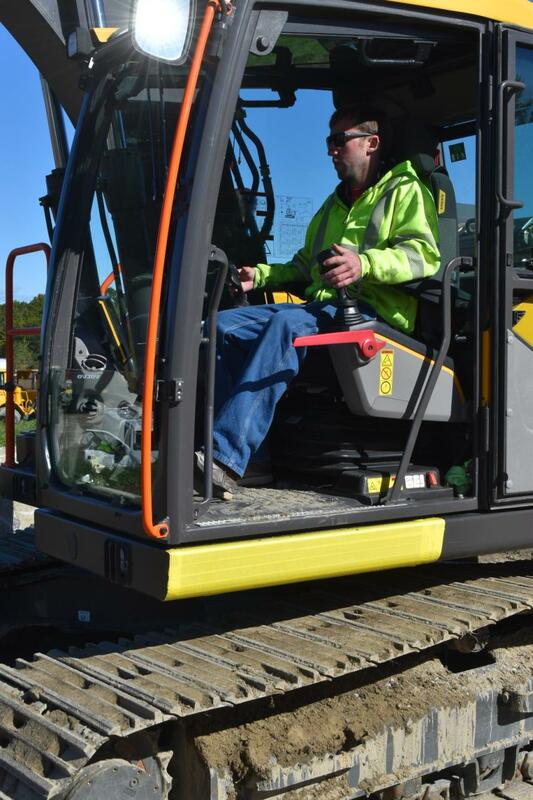 “You can get into tight areas … 360 degrees; it cleans up piles nicely. The controls on this machine are very different than on machines currently in use, but the control switches on the joy sticks are quick and very user friendly.